Needed: 2 keepers, 2 goals, whole court, enough balls and players. 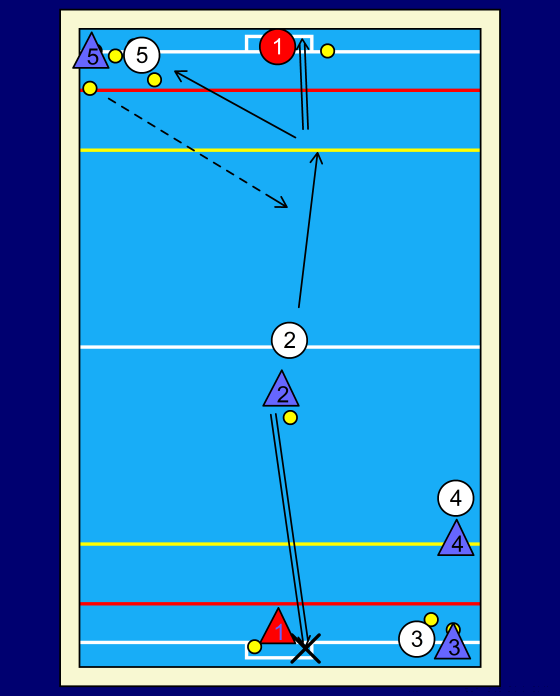 One can adapt the exercise to the experience and conditional level of the players by changing the start position of the couples (for instance instead of whole -, half court), adapting the advantage of the attackers when starting or by setting a maximum for the number of misses. • mental/tactical, the pressure is on the attacking player to score, otherwise he becomes defender. 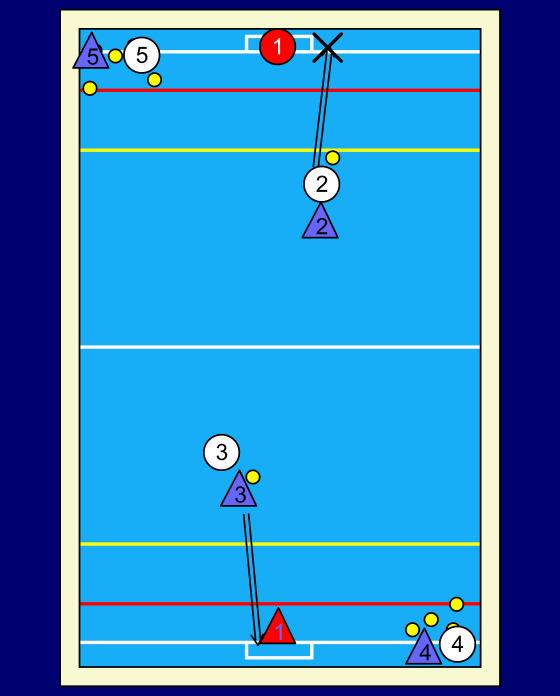 Also the exercise is meant to practice fast switching from attack to defense. 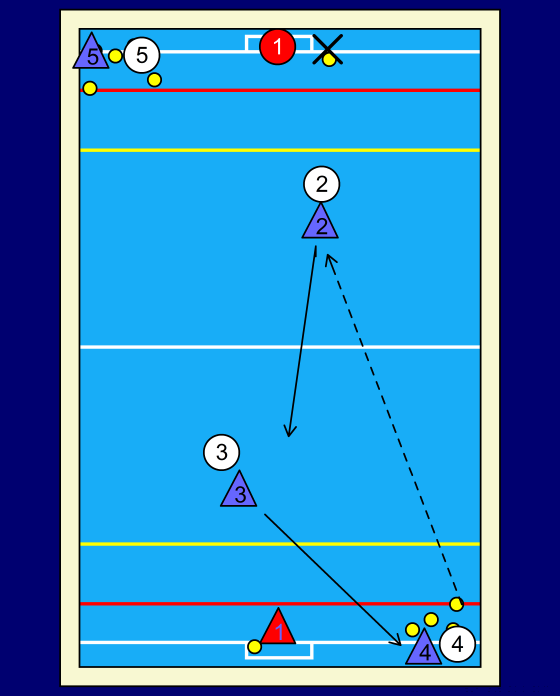 • 1 The attacking player scores, the couple moves to the next corner to wait for their turn.